Looking back through my logbook, I tried to pick the best $100 (or really the $500) Vegeburger locations. 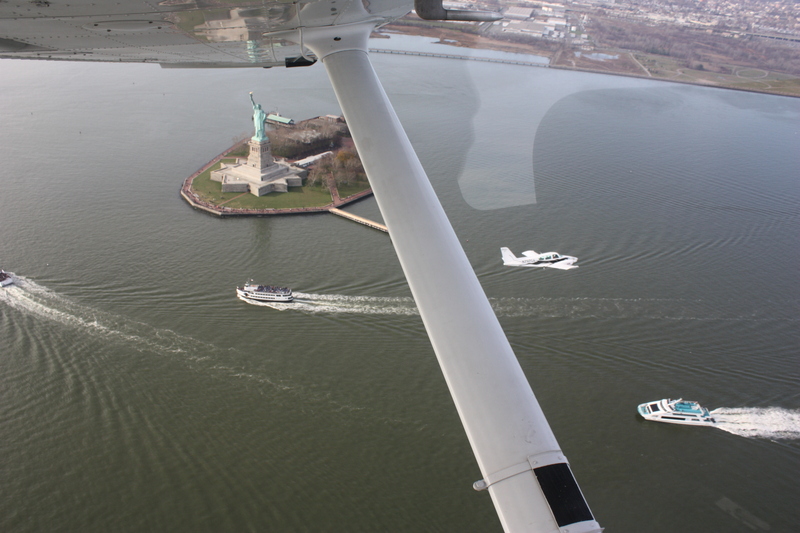 Recreational flying is so much about the $100 hamburger flying destinations. Sadly most airports (especially in the east coast) are not vegetarian friendly. 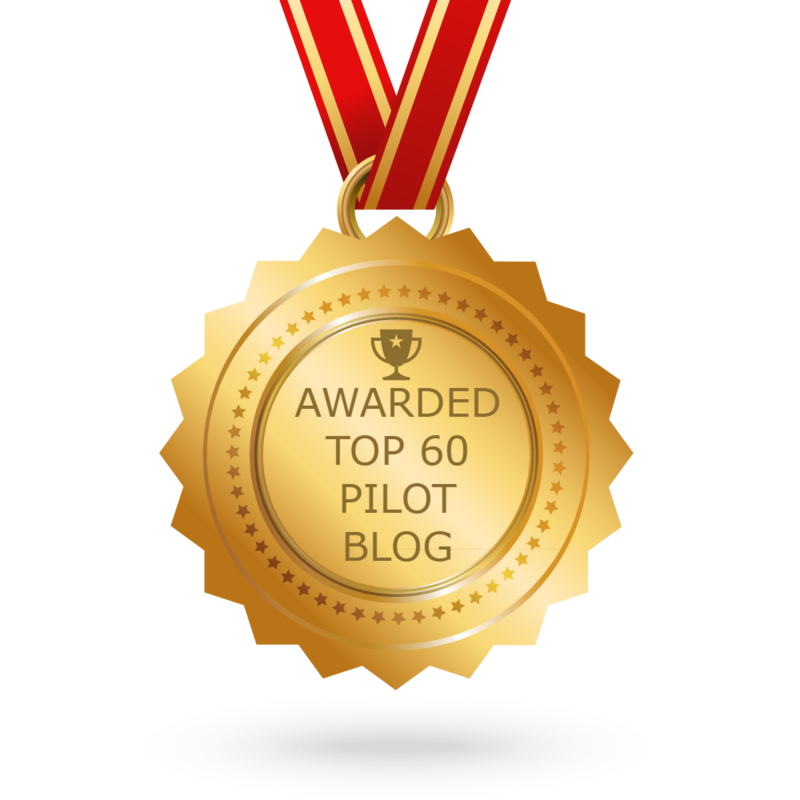 Here are my picks for the ten best places I have flown into for that coveted $500 Vegeburger. Some destinations are such that the meal itself is irrelevant! Note: Since I originally wrote this article, I have compiled a page to track all the $500 Vegeburger destinations. Check that out for the complete list of destinations. 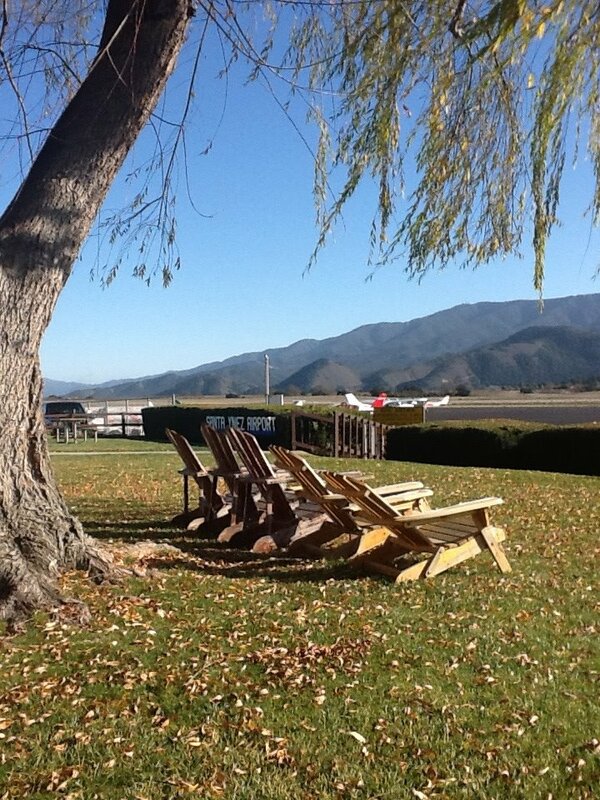 How can I talk about $500 hamburger destination without a mention of Santa Ynez (IZA)? Tucked away between the Los Padres National Forest in the south and Los Alamos to the north, IZA holds some fond memories for me. After all it was the first cross country fly out for me, barely a month after I obtained my wings. Landing there in the ever faithful and trusted 152 that I had trained in, I hitched a ride with a friendly person at the FBO to Solvang, a quaint Danish village 4 miles northwest of the airport. Solvang has much to offer: shops, galleries, museums, bakeries, bike rentals, wine tasting and much more. Santa Ynez derived from the Old Spanish Mission Santa Ines is the first Spanish settlement in the area. Los Olivos made popular by the movie Sideways is 5 miles northeast of Santa Ynez. Wineries abound in this area. IZA: Photo Courtesy Nicole Kraus. Just around 120nm from my home airport, Monterrey airport is a fun and scenic airport to fly into. While I have flown into this airport several times, the first time being the night cross country flight with my primary instructor, the one time that remains fresh in my mind is the time I flew my best friend and first non pilot passenger up the coast for the best 4th of July celebration day in Monterrey and the Canary Row. Made popular by John Steinbeck, MRY has plenty to offer: Fisherman’s Wharf, the Aquarium, Canary Row and just minutes away from Big Sur and the pristine and beautiful Pacific Coast. The Golden Tee is pretty good. Better still to catch the bus or the cab to Canary Row. Just minutes away from Carmel, Half Moon Bay is a quaint seaside village and is a favorite destination all year round. Having flown there many times, it is always fascinating to me. Tie-ing down at the end of the runway, a short walk away from the nearest fishing village of Princeton by the sea with many choices for that $500 hamburger. Be it to do some whale watching or just scenic flying up the coast north to the Golden Gate Bridge, east over the bay to Sausalito and the Bay Bridge, over the city of San Francisco and back, it is a must do flyout destination. #7: Santa Barbara (SBA): Day at the Beach! Nestled between the Santa Ynez mountains and the Pacific Ocean, Santa Barbara is a popular tourist destination. It is situated 90 miles NW of Los Angeles and is often considered the American Riviera. Elephant Bar and Restaurant is an excellent option for that $500 hamburger on field. Even better is the Beach-side Bar Cafe on the beach, a short walk from the airport. Pack that beach towel and suntan for a perfect day at the beach! Lake. Boats. Lunch? Perfect for that $500 hamburger or vegeburger. Lake Anna Airport is located 60 nm south of Washington DC in Bumpass, VA. Lake Anna is the second largest fresh water in-land lakes in VA with over 250 miles of shoreline. There is plenty of entertainment with fishing, swimming, sailing, and boating. 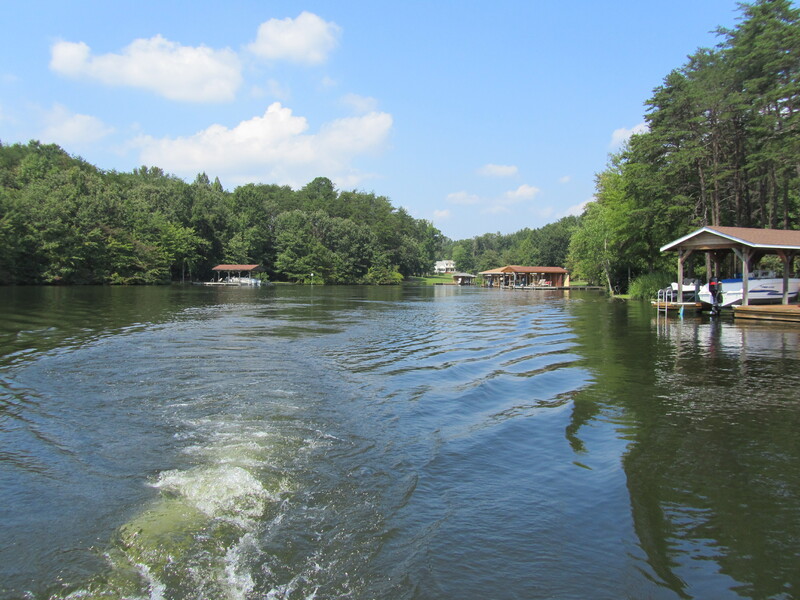 Lakeview Restaurant is located on Hunter’s Landing in Mineral VA and is 16miles drive from the airport, but is lot of fun by boat if you know someone on the lake! With outdoor seating, sprinklers to cool you from the heat, fried pickles and margaritas to soothe it is a perfect way to spend a lazy summer day. Who needs quakes? Heaven. On. Earth. 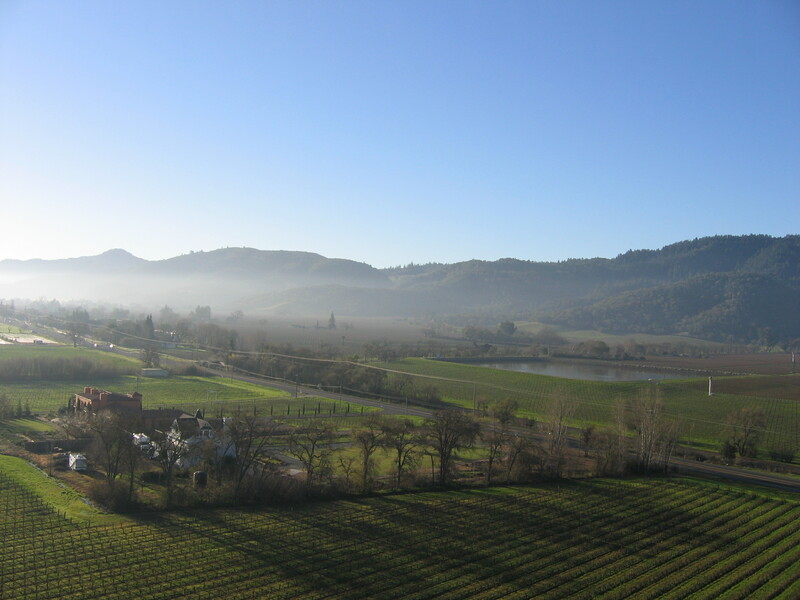 Just 50nm from the San Francisco Bay Area, Napa Valley is the ultimate destination for wine aficionados with such wineries as Beringer, Robert Mondavi, Cake Bread, Sterling, Domaine Chandon and many more. Jonsey’s Steakhouse is on the field for that $500 hamburger. Consider a weekend getaway: wining and dining. Check out some local art and maybe spend an early morning ballooning over the Valley. Just 50 nm off the coast of Southern CA, Avalon Airport floats 1600ft above MSL on Santa Catalina, the third largest islands of the Channel Islands. 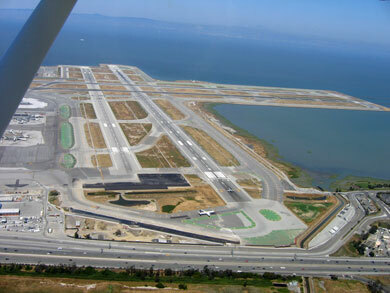 It is California’s only public use airport on an island. Catalina Island offers diverse land, sea and air activities: from hiking, biking, segway and walking tours to kayaking, rafting, fishing, scuba diving, snorkeling, para-sailing, boat tours, helicopter rides and much more. The Runway Cafe on the field is an excellent $500 hamburger destination. Landing at Avalon is an adventure itself. If that is not enough, the drive down to Avalon provides more excitement and thrill. For any pilot, First Flight Airport is sacred ground. 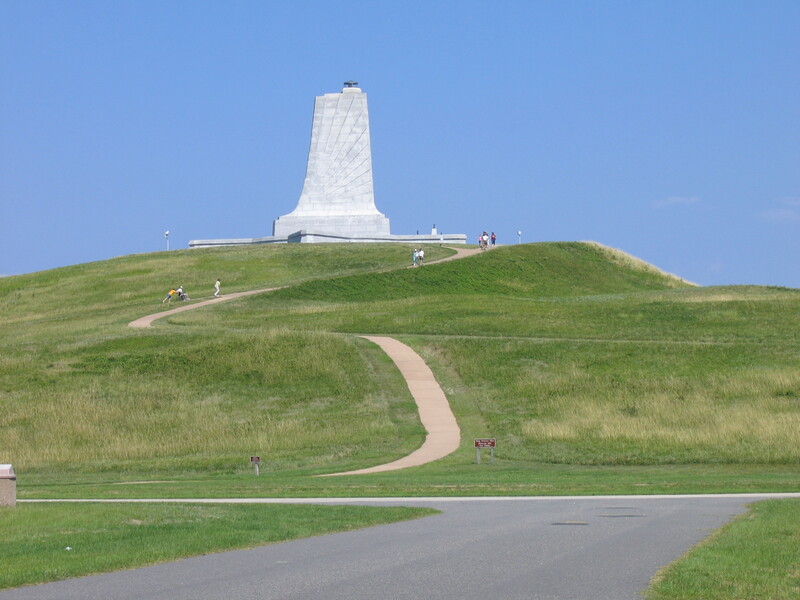 After all it is where the Wright brothers tested and flew the Wright Flyer and made history. Landing there and visiting the monument is a must. There is no restaurant on the field but there are many choices for that $500 hamburger. A cab or rental car will get you to the beaches and the restaurants. The Dragon Fly Deck Bar serves lunch till 5:00 pm or dinner at the Peppercorns, both at the Ramada Inn at Nags Head offer spectacular views of the ocean and beach access. The Outer Banks offers myriads of land, water and air activities: bird watching, theatre, art galleries, golfing, hiking, horseback riding, wind surfing, crabbing, kiteboarding, parasailing, wakeboarding, kayaking, canoeing, fishing, hang gliding and many more. Flying low and slow through the San Francisco Bay Area or The Bay Tour as it is known as is an unforgettable experience. Past the SFO airport, over the city, the Bay Bridge, Alcatraz, Angel Island, Sausalito, Golden Gate, Santa Cruz, Half Moon Bay and back. Seeing the Golden Gate bridge at 1000ft , laced with fog and low clouds as is possible most times is breathtaking! There are many opportunities for that $500 burger: lunch at the Abundant Air Cafe at Palo Alto Airport (PAO) or better yet at the Bay Cafe on the Golf Course is the perfect way to start off the Bay Tour! Key West almost feels like Lands End- the southern most end to the US. There is plenty to do in Key West: diving, snorkeling, deep sea water fishing, kayaking, sailing, sunset cruises, seaplane rides and more. While there are only two public use airports in the keys, all the islands can be covered by driving. Winter time is the best time to head out to this tropical paradise. Check out Island Hopping in the Keys: The 100 mile drive across the Florida Keys. If walking the streets of NY looking up at the skyscrapers leaves one awe-struck, flying at 1100 ft past the NY skyline is equally if not more awe inspiring. 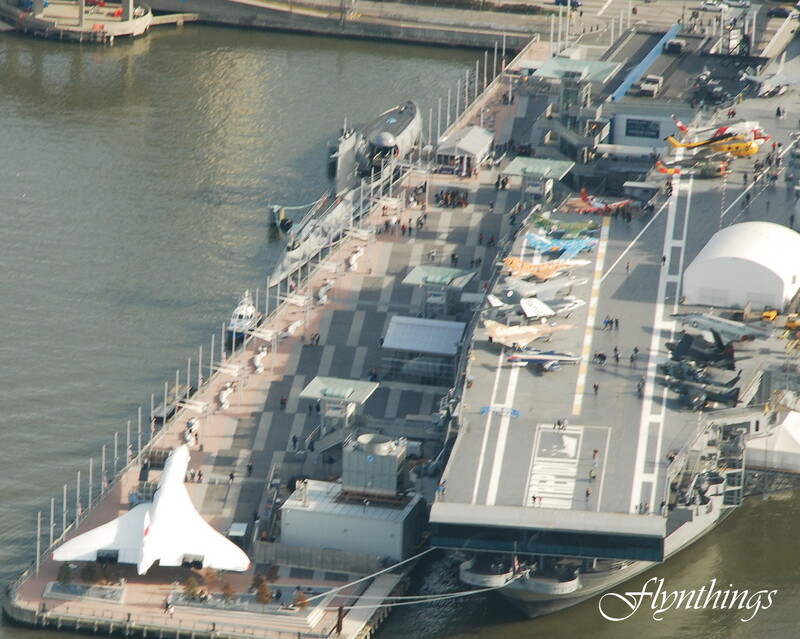 The Hudson river corridor can be flown by transient aircraft between 1000 feet to 1299 feet MSL and provides some of the most spectacular views of the New York skyline: awe-inspiring Empire State Building, the Chrysler Building, Central Park and Intrepid Sea and Air Museum with the Concorde gracing the decks. Surrounded with so much beauty, hamburgers are furthermost from your mind but if you must, land at Teterboro (TEB) airport and take a ride into the city or Sky Acres Airport with a restaurant on the field or any other nearby GA airport. 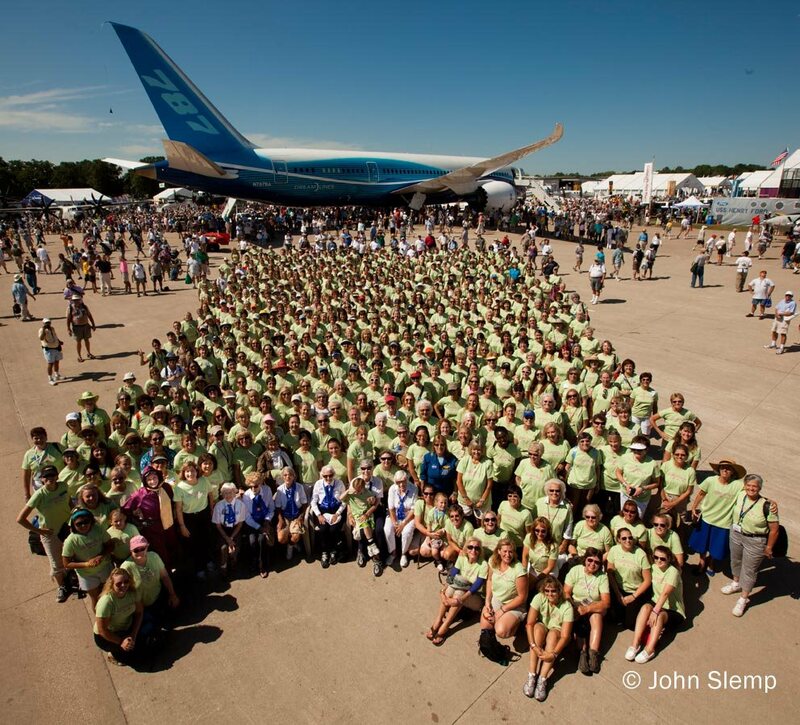 If you are just plane crazy, Oshkosh is the ultimate destination for you. Flying into OSH is an adventure still in my bucket list (Not anymore 🙂 Please checkout my Oskhosh page). Getting to OSH during Airventure by any means at hand: driving, commercial flight or other means is still the best flyout of all even without that $500 vegeburger!